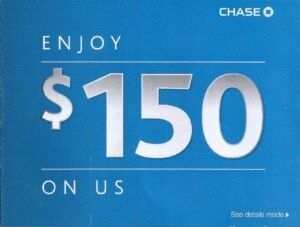 Over the summer, Chase Bank sent me an offer in the mail to open a checking account with them. The sweetener? $150 cash bonus, just for opening the account. Any strings attached? Sure, but they were relatively easy to cut. Chase is not a military friendly bank that offers no-BS fees. Their checking account comes with a lot of “gotchas” and I definitely DO NOT recommend banking with them day to day. However, a free $150 is hard to turn down. What were the stipulations? A good bank does not have account minimums or charge any fees for normal daily usage of the accounts to their customers. Therefore, I was not interested in keeping this account past the minimum required time. I decided to look at opening this checking account as an investment. If I deposited $1500 into the account for 6 months, I would be rewarded with $150. I could then close the account, withdraw my $1650, and gain a 20% annual return on investment. Not bad! I deposited my $1500 in June 2013. The $150 bonus was paid within a week of opening the account. Since then, I’ve done no transfers in the account except yesterday (3 January 2014) when I withdrew the full $1650. I sent a secure message to Chase to close the account and I’m just waiting now for their confirmation. In total, about 15 minutes of work for a very nice return. While it’s not going to change my life, it’s still nice to put cash to work for a FDIC backed 20% return. Getting an FDIC insured return above 1-2% is difficult these days. However, if you look for opportunities (like the SDP or account opening bonuses) to maximize your risk free return, you can realize a greater return on your emergency fund and cash assets. Increasing your return on your cash will put you that much closer to achieving your financial goals, whatever they may be. The Chase no-fee-for-military checking is great! I definitely think you need to re evaluate your stance here. They’ve got a great program set up for the military and layout the benefits very plainly when you sign up. 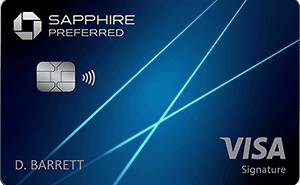 The benefits get even greater when paired Freedom card for 10% annual bonus on spending. Also, there are coupons on eBay for $200+ for the same account you described above. 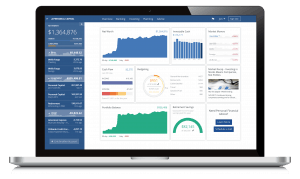 I just set mine up and am looking at making an equivalent of 26+% annual ROI in 6 months with your method. I went the direct deposit route and will probably just move the deposit out after it posts bimonthly anyway, so just for leaving $100 in the acct, I’ll triple my money in 6 mos. Maybe I’m doing my math wrong but isn’t it only a 10% return on investment? 10% return over 6 months, so 20% annualized return. I’ll have to look into this to see if they are still promoting this. I’ll take advantage of free money if it doesn’t cost me anything to open and close the account. It cost me nothing to close or open the account. Sending a message to close the account online was easy and customer service was polite. No hit to your credit score either for opening or closing checking accounts, unlike applying for credit cards. Why wouldn’t you keep the Chase checking account open to get the 10% annual bonus on Chase Freedom points? I wasn’t aware of this bonus. Can you provide the link? It might be worth it if Chase waives the minimum account balances and other fees associated with the account for military personnel. Chase premier banking is “no fee” for active duty and veterans now. I got a $300 bonus for opening my account through a targeted offer. Told USAA good riddance after they jacked up one too many times. I was not aware of the Chase Military Personal Banking service. Looks like it may be a better deal than I originally thought. I’ll have to explore it further, maybe Chase does offer “no BS” banking to the military. Can I ask what USAA jacked up? My house was burgled on 10/30/13 and I do my checking and insurance (Renter’s/Car) through them. Some of my old checks were stolen and so I when I called to put a stop payment on my checks, USAA asked me for which numbers. I did not know as I rarely use checks, so I told them to cancel any check that they had issued me in the past. Turns out the representative put in some odd numbers in the 95000 range, which makes no sense for personal checks. So, then, of course, fraudulent checks ended up posting to my account a month later and the only way it was caught was because I caught it. Their fraud department seems to be at least borderline competent in the debit and credit card department, but this was ridiculous. Nothing about the checks seemed legitimate. I didn’t end up losing any money on the checks, but the hassle of dealing with this was ridiculous. How does 4 checks and an ACH transfer totalling $2000 over a weekend not bring up any suspicion on an account that has written one check in the last two years? And, then to top it off, after USAA does end up putting correct stop orders on my checks, I ask them what would stop the criminals from doing ACH transfers, and the representative seemed surprised that I would ask that. I ask how I can change my account number as the theives could easily just keep trying the ACH method. She said the only way would be to close down my account and open a new one under a different number. How is it that I, as someone who has no experience with bank fraud, had a better suggestion for dealing with this situation than the fraud expert at the bank? Also, when I signed up for the renter’s insurance, the limits for jewelry and other items were hidden in a link on the bottom of the page and were never honestly presented. I didn’t even receive a paper copy of my policy and there is no online copy of my policy in my inbox or documents online. I did receive an email with a “summary” of my policy, which of course did not mention any limits, but that’s a whole different story as the insurance organization is independent from the bank. It’s very frustrating to find out the limits after your wife’s heirloom jewelry is stolen and you have no recourse for recovery. The only way to discover the limits on the website as of when I checked last month was to first try to upgrade to the Valuable Property Plan. That is pretty ridiculous in my eyes. Regardless, I will most likely no longer be using USAA, except maybe for car insurance depending on what I can find elsewhere.